Ayesha was born prematurely at 26 weeks,on the 23rd July 1996,weighing 2lb 11. 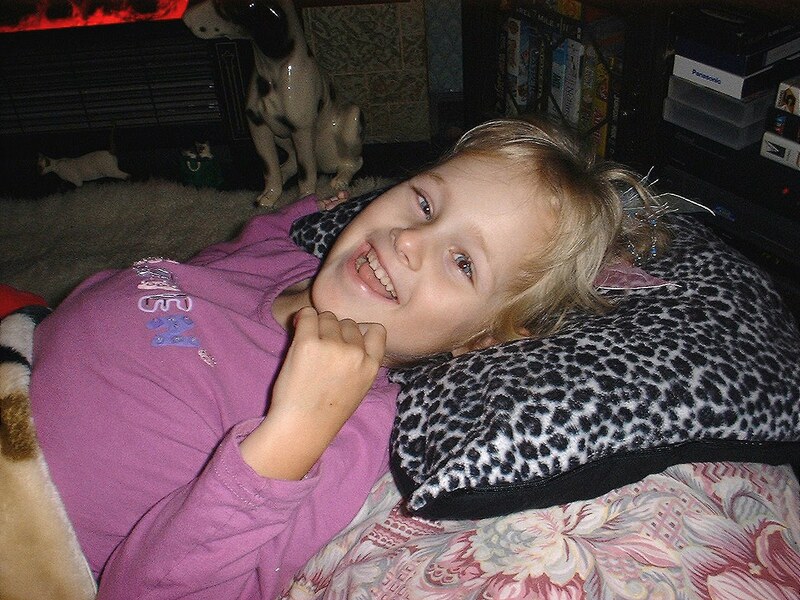 Being she was born early,she developed hydrocephalus,and cerebal palsy. The first few years of her life,she attended hospital on a numerous occasions,because she had disabilities.She was not able to walk,unaided,so she had to be dependable on a wheelchair to go around. She was a happy little girl,understood everything,but even though she was with her special needs,it never affected her personality. If anybody felt downhearted,seeing Ayesha,would soon cheer people up. I never saw her unhappy.To her,being the way she was,was all she knew,she would never allow it to spoil her life. She attended Ysgol Maenofferen,in Blaenau Ffestiniog,in the early years of her life,and made lots of friends.All the children idolised her.When we moved out from Blaenau,she started Ysgol Eifion Wyn. Again,made loads of new friends in the school,and the teachers and Headmaster,Ken Hughes,thought so much of her. If for any reason,due to hospital visits or sickness,the children in school,would be heartbroken,that she was not at school,and they would make her cards,to get well quickly,to return back to school. Ayesha when born,had been diagnosed with her problems,and the future looked very bleak for her,and for me as her mother. 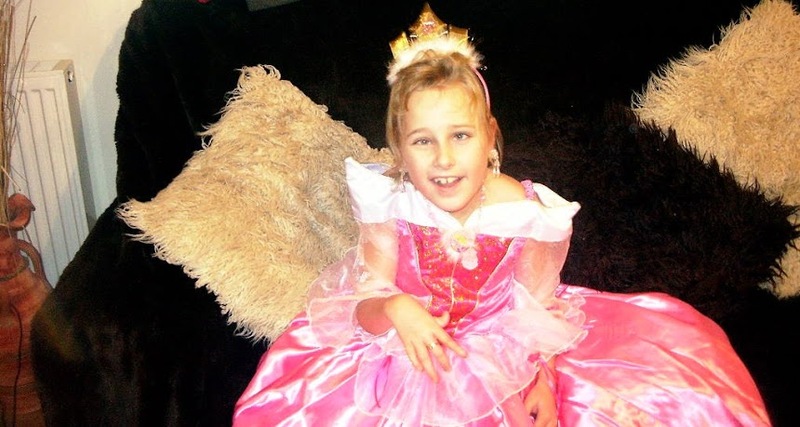 They were determined in Alder Hey Hospital,in Liverpool,when she had her first major brain surgery,that she would never talk,smile,walk or basically be able to do nothing.She was so determined,as a child,and the willpower she had made her the strong character,that she was. I was determined,that one day Ayesha would prove the neurologists in Liverpool,wrong,and when she did,it was the happiest day of my life. The bleak outlook,given to me,as a parent,was fading away,slowly.It was a slow process,but every obstacle she went over,was one less to go climb over. I was so proud of her. I took her away once,to start a new life,being that I had heard there was a good school in England,that specialised in children with cerebal palsy,they did treatments in the school,that you would normally find in places abroad.She enjoyed it at the School in Kettering,but in time,we came back to wales,because our life did not go as planned. She had major surgery on her legs back in 2002,after we had come back from Bulgaria,she went through a lot of suffering,after the operation,but it was surgery,that could not be avoided. She had two hip replacements,being that she did not walk. Again,she was strong,and came through the operation,and began to improve her legs,with the aid of splints. She was splinted daily,to strengthen her muscles. She would have physiotherapy in her school,by the physio team in Caernarfon,Ayesha was great friends with all the team,there was so many people involved in our lives. In Novemeber 2006,Ayesha had said that there was something going on in Ysgol Eifion Wyn,for Children in Need,and that she had to dress up in a fancy dress. While she was at school,i went out shopping,and saw the dress,that she is wearing above in the picture,together with musical shoes,i thought i would surprise her.On her return from school,i told her that i had a present for her,and she was so excited,and asked could she try it on,she looked liked a princess. She attended the school,the next day,wearing it,and she was so proud,asking me,did i think she was cute. It was so nice to see her happy. A couple of weeks later,it was time to christmas shop,Ayesha loved Christmas,she always had loads of presents from people,she was a people's person,and very popular. She was looking forward so much to Christmas,and going out to see the lights in the villages. She enjoyed going to see the Lit House,at Bala,that was a yearly event,that we did,because santas grotto was there too. On the way back she would insist on fish and chips in Bala,and then not long to go until it was Christmas. This occasion,Ayesha had a chest infection,i was not worried,as such,but did take her to the doctors,to get antibiotics,for it,because i did not want it spoiling her christmas,if it could be avoided. She was not as excited,about Christmas coming,being that she was not feeling herself.We plodded on over Christmas,so that she had a good one. On the 2nd January 2007,she started complaining about having headaches,so again,i took her the doctors,he examined her,and said she needed another antibiotic,so she was given cefalexin this time,and they did think this drug would work on her,and ease the coughing,and this sickness. On returning from the Doctor,she insisted she wanted to go and lie down,the doctor had said she needed enough rest and plenty of fluids,so of course,i went by what was said. On the morning of the 3rd January,she was still complaining of headaches,and i noticed a swelling on the neck,of course i panicked and took her down to the surgery again,we were told that it was swollen glands,and nothing to worry about,that it would go,once the chest infection cleared up,that she needed to rest. I would not have that,and insisted on taking my daughter to Ysbyty Gwynedd. I ended up driving her to hospital. We were seen by students at first,she was not looking at well at all,and i was worried sick about her condition,she was lethargic,and very pale looking,not like Ayesha to be that way. I had been through so much with her,but this time,i knew in my heart, that something was not right. We had to hang on and wait for a doctor to see her. Finally after about an hour,A doctor arrived,Lewis Charles Ingram,he was the Paediatrician,on Dewi Ward. I explained my case to him,and told him,that Ayesha had a blocked shunt in her head. A shunt was put into Ayesha's head when she was only six weeks old,because she developed water on the brain,due to prematurity. I was told after it was done that if it had not blocked in the first two years of her life,that it never would,so i did not really worry about.Nobody checked it for her after the age of two. I thought this was normal,being nobody told me otherwise. I knew what to look out for in the early years,to look out for headaches,a red line coming down the neck,and if that happened,i would have a maximum of four hours to get her into somewhere like Alder Hey Hospital,Liverpool,being that it was there,it was inserted. Lewis Ingram,told me i had nothing to worry,i told him that i knew Ayesha had a blockage,he failed to listen to me,and told me i was completely wrong,that i had nothing to worry about,he would give her chest x rays in the morning,i told him,i did not really want chest x rays,i wanted her to have an emergency brain scan,but he insisted it was not necessary. Ayesha was told to stay overnight. We were both anxious,because i had to watch her suffering with headaches,but being a paediatrician had told me i had nothing to worry about,i had to take note of him,and put my trust in him. Ayesha finally went to sleep,and looked quite relaxed,and when she was looking peaceful,it relaxed me. I had to try and rest myself,but was tensed and worried about her. I could not wait for morning to come,and being in hospital,every minute is like an hour,so it seemed a long way away. At last it was morning,and now,i was awaiting for the Paediatrician to see Ayesha. He finally came round,and made enquiries about an xray,and Ayesha was taken down. I knew the results would be okay,but i was still adamant with him,that i wanted a brain scan,but i was still refused,and made to feel that i was an over protective mother,which was not true. I was not someone that fussed over the top over my daughter,she was strong,and had been through so much,we both had,so i could never be an over the top mother fussing. I went with Ayesha,to xray,and returned to the ward,where we were given the news,i knew we would have,nothing wrong with her chest. We were told,that we could go home. I still was not happy,and was worried about the swelling on the neck,on the side of the shunt. I asked Dr Ingram,for adivce,i asked him,"What do i do if the swelling does not go down"? I was told "Make an appointment with a Paediatrican in two weeks time",i was not impressed. They signed her out. I asked Ayesha before leaving the Hospital. "Are you feeling any better"? Ayesha Replied "Yes,headaches have gone" The moment she said that,it was a huge relief to me,i could feel the tension,going from my body literally. We chatted on the way home,she looked pale,but being she was responding to me,i thought she was better. When we arrived home, she said she was tired and that she wanted to go to bed,she did not want food,only liquids,to me,then,at least she was drinking,so she would be okay.I tucked her into bed,and kissed her on the cheek,told her i would be back to check on her. I was worried sick,i could not relax,but i had to try,because i couldnt,and didnt want to worry Ayesha,and make her worry about me. She was very protective of me,like i was of her. The morning came,things were similar,just drinking fluids,having a natter now and again,but still not right,i then again phoned the doctor,to make sure that the way she was acting was normal,in her health,i was told,to give her a chance with her medication,so i did. The following morning,i noticed,she was doing unusual things with her legs,and the headaches were still there,i got the doctor straight away,she came up,said she looked dehydrated,and to give her more fluids,and to keep an eye on her for the next 24 hrs,i did not and would not agree with this,and demanded them to get her into Hospital.I was told i had to wait for a bed,so in the meantime,i got her things ready,dressed her,and she asked,"where are we going",?i told her to hospital,to make your headache go away,she wanted to wear her pink fur coat,she had been given christmas,from me,she had not been out really since christmas,to wear her new clothes,so i dressed her up,warm.and put her in the wheelchair. My head was so full of worry,and when she was outside,in the wheelchair,i remembered i had left my purse inside the house,i put the brakes on,ran inside,grabbed my purse,and went back out,i was only 30seconds all in all.When i got outside,i could not believe what i saw. I was so scared,i lived in a remote place,nobody there to help,there was only me and Ayesha,she was half commatised,and was posturing in her chair,i never had seen nothing like it,ever.It was the most scary time of my life. Oh my gosh I am so sorry for ur loss. i had a cousin that died of CP 2 years ago at age 12. She loved elmo so every year the family lets off elmo baloons. I will remember u in my prayers. take care and God bless u.
I remeber Ayesha when I was in Eifion Wyn with her. She was truly the most amazing little girl anyone could ever know. Such a beautiful girl.